Excellent list of resources. Comments disabled here. Please refer to original post. Comments disabled. Please comment on the original post. Original image courtesy of Juhan Sonin via Flickr Creative commons. The writer’s worst nightmare. You researched, you wrote, you finished, and then published your book. You wait for the sales and……….*crickets*. This is something that can happen to any kind of author, traditional or nontraditional. We think we have a hit on our hands only to later be checking it for a pulse. What happened? Why is the book just not selling? In the not so distant past, there was only one way to get published and that was traditional publishing. Though many authors cheered when they were finally able to cast off the chains of New York, let’s at least respect that agents and editors might have known a thing or three about the book business. If you want to follow this blog, I warn you. We are emotional, here. We are sometimes frustrated, tired, and some of us are beaten and broken; looking for words that will bring calm to storms that have not passed yet. For the messiah himself was sent to those who were sick. Some of us are sick. Walking mistakes looking to be healed in places technology has not tapped into yet. Waiting for the ink in this pen to heal the shattered pieces of our souls. You see this pen, all courage shaped in my hand, is here to lift the fallen, to restore the broken, and to heal the hurting. The people here, those who follow this blog and the person who owns it, do not all have it together. So, if you want to join us I caution you: We are not robots mechanically maneuvering our way through social media. We do hold ourselves accountable, I must add for excuses do not live here, but we are not fake. We do not inhale html codes and hyperlinks, and our blood is not made of oil. Though I cannot promise you that we won’t leave stains, for we ourselves are stained. And yet, we know that we will not always be this way because our mistakes make room for healing. So we look for evidence of growth in the strangest places, like cracked surfaces, rocks, and hard places. Welcome. 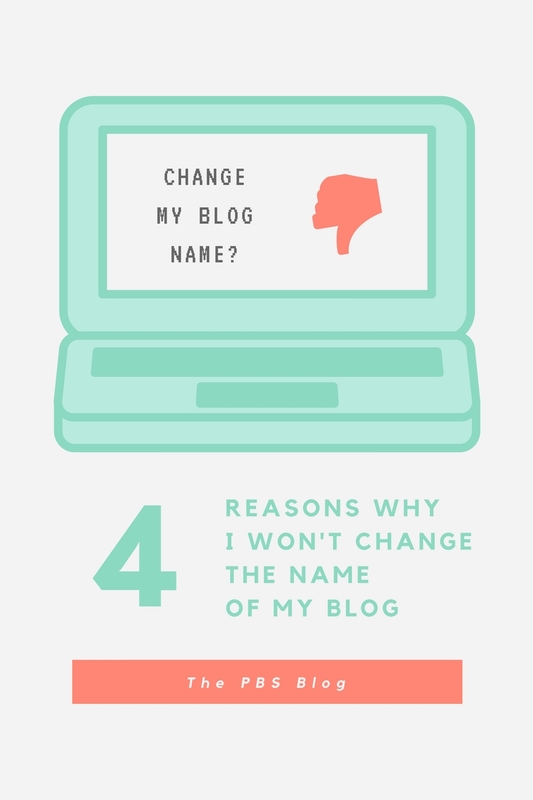 Branding logic says that my blog should be called after my name. Had I thought of this before starting this blog, perhaps I would have (maybe) gone with logic. However, because I’m a tad bit crazy, even being aware of this hasn’t moved me to change the name of this blog (even after much suggestion). I think this is the most clear and simplest definition of branding. Taking this into consideration, Author Branding is just the same “when an author’s name is strong enough to drive sales”, or in this case, drive views. I believe The PBS Blog is strong enough to hold its own as the blog home of Yecheilyah without me having to make that my blog title. I’m shy! I’m not sure I’m comfortable naming my blog after me! “Welcome to the wonderful world of Author and Blogger Yecheilyah Ysrayl!” Just writing that made my skin crawl. I’ve always hated bringing attention to myself. Remember those days in High School where everyone wanted to show off their name brands but you were too poor to afford the Jordan’s? Good, now go back to that one time in forever you actually got a pair, and that one person who annoys everyone called you out and you knew it was just to mock you? Yea, that. The worst. Anyway, I digress. Long story short, I’m really shy even though I’ve come to notice people don’t believe I’m as shy as I am. I always get the side look when I say I’m an introvert, but it’s true. I am very laid back. I have the potential to sit in a room all day and not say anything and be completely fine with it. I’m passionate about sooo much more than writing! For this reason, this is not just an author blog, even if I do talk about writing 85% of the time. OK 90%, whatever. I named my blog Pearls Before Swine with the subtitle Truth is Stranger Than Fiction because it embodies my mission for this blog. That is, I will always prefer the truth (pearls) over the lie (swine) no matter the color, shade, or persona it’s packaged in and I will never force the truth down anyone’s throat. You see the truth is very precious, delicate and fragile like a pair of your mother’s most elegant pearls. She’s not going to give these over to anyone, let alone a pig who will rip them open and tear them apart. A reference to Matthew Chapter 7, Verse 6 of the bible, Pearls Before Swine keeps me focused, and reminds me that truth is to be given only to those who want it. To those who will take it into their hands and protect it, use it, and wear it like sacred garments. Looking up at my blog name ALWAYS keeps me focused on my primary objective. I am to use my writing and skill set as a way to bring truth in the most creative and effective way possible. I am not to force, debate, or argue the truth because truth speaks for itself, and I am to never compromise my personal integrity because someone says so. Pearls Before Swine, because I’d rather die on my feet, than live on my knees.